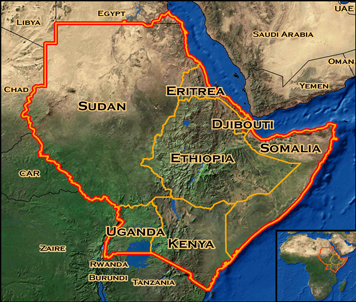 Right now there is an extreme drought in the Horn of Africa…the worst in 60 years. This has created a famine that leaves some 12.4 million affected people in that region. 30,000 children have already lost their lives. With 35% of all children in the region now facing emergency levels of malnutrition and disease, starvation is a real threat. World Vision has assisted communities in the Horn of Africa for 3 decades and with the increased need they are reaching out…asking for your help. Money is needed to provide food, water, blankets and other critical life-saving essentials to the most vulnerable children and families. I know that giving money sometimes hardly feels like we’re doing anything…but it really helps. I’ve seen first-hand the work World Vision does in Africa and I’m a huge fan of how they serve the poor, the widow and the orphan. Thanks for helping out…and thanks for caring!